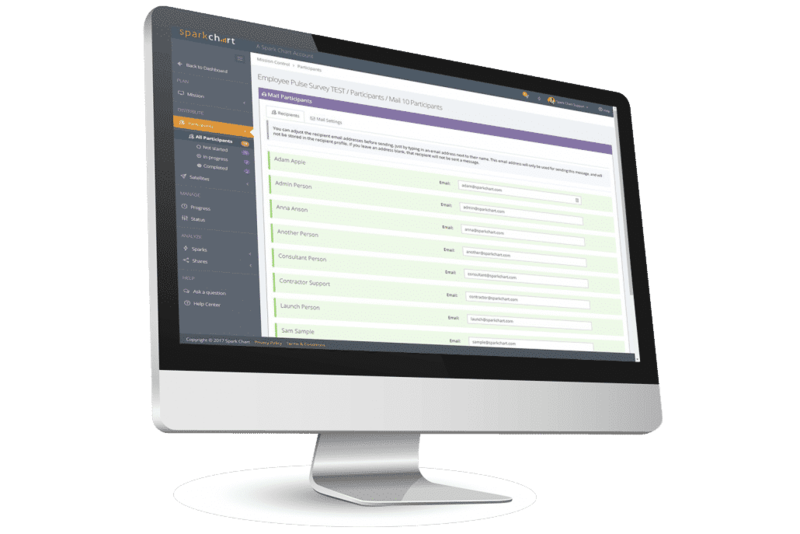 Get the survey software that consultants choose! Get ready made survey templates designed by experts. Use your logo, colours, messages, headers, footers, emails & more. Get tools to personalise invitations, track progress & follow up. Use Logic to change what is seen & happens based on responses. Instantly create brilliant reports. 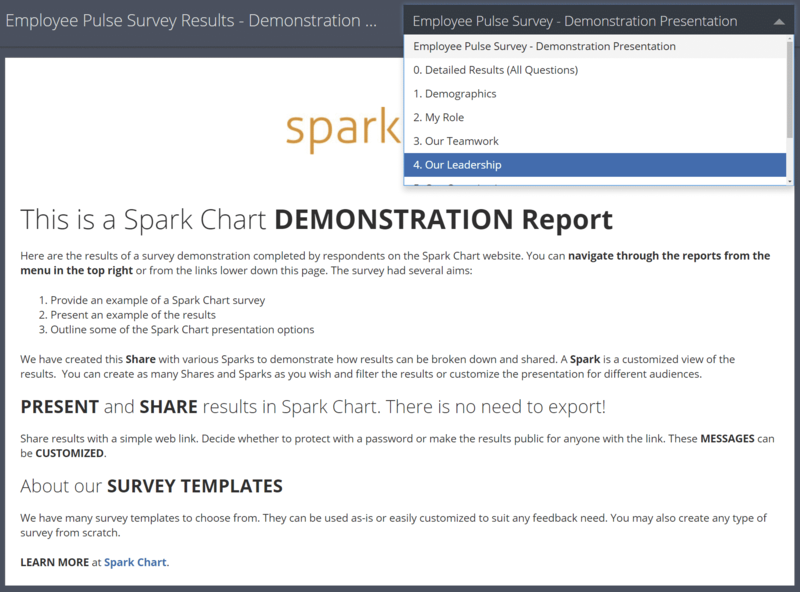 Share & present in Spark Chart. Deep analytical tools will make you an instant survey expert. Get pre-installed langauge packages or customize yourself. Use Zapier to automate workflows with 1000+ applications. Teams can share and work on survey projects simultaneously. Survey software built for consultancies & enterprises. 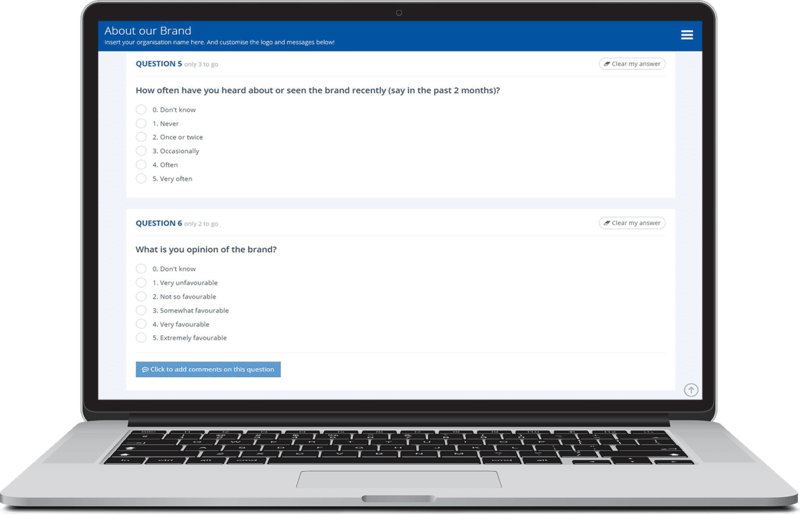 Rich presentation so surveys & reports looks great on any device. Responsive support & advice, 24 hours a day, 7 days a week. 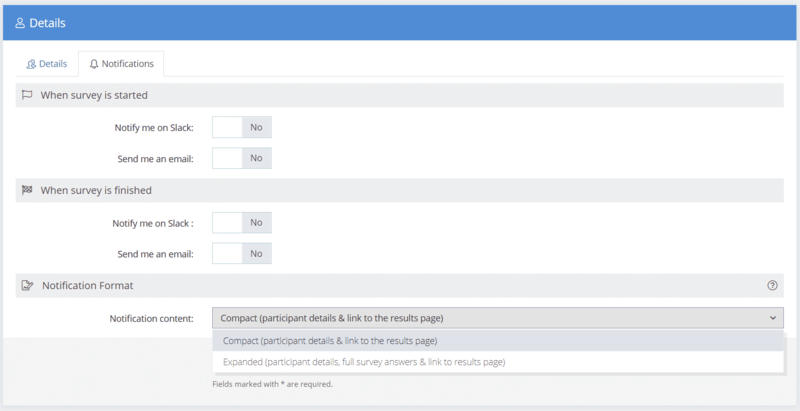 Tools to create any type of survey! Get ready-made survey templates. Instantly! 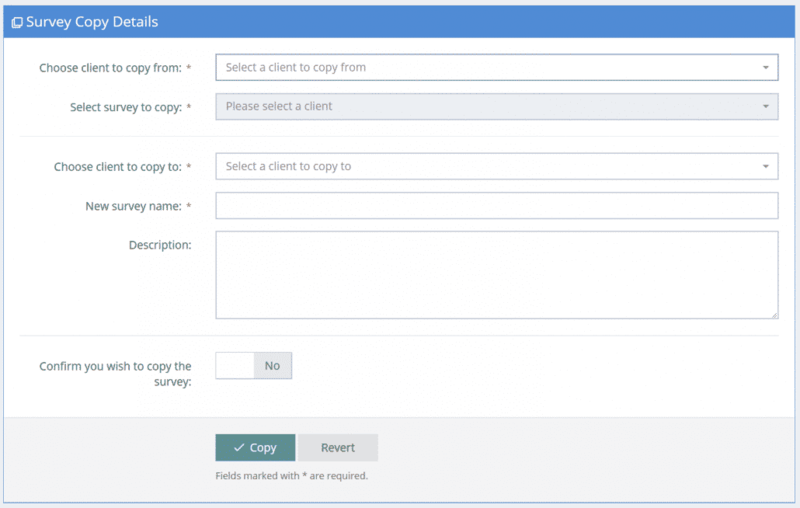 Design your own surveys or save time and get ready-made survey templates instantly. Use them as-is or edit them. Can’t find what you need? Let us know. Send personalised survey invitations and links to individauls via email. Post surveys to social media with a click or post manually. 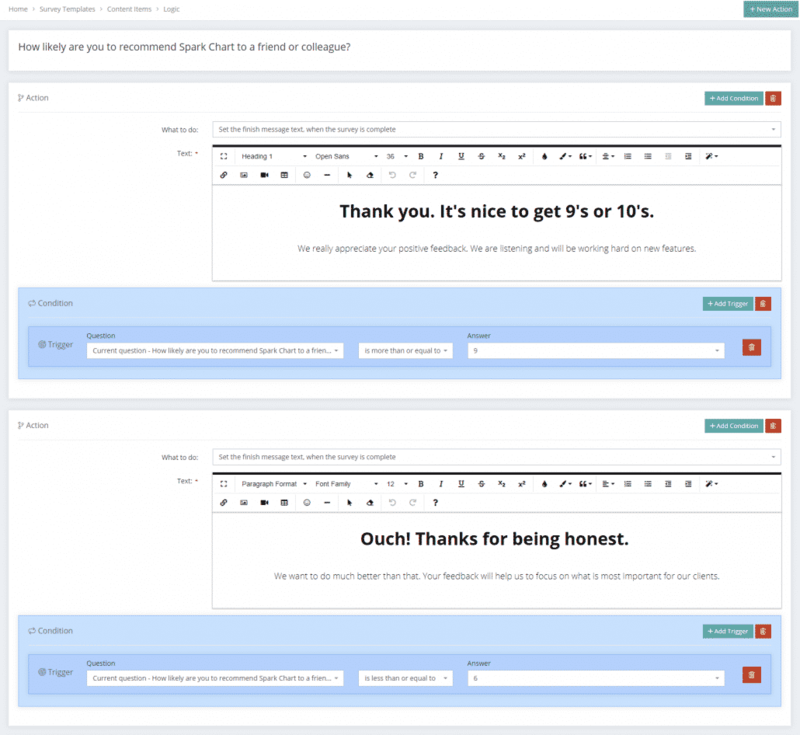 Autoresponeders with optional url parameters to capture email and name. Import your contacts from csv. Choose to anonymize responses or not. Turn notifications on or off and set the notification content to either “Compact” (with basic information) or “Expanded” (includes details and results). Our Reports and Report Sharing features allow you to quickly create customized and beautiful reports and presentation layouts ready to share. You are in complete control of what you share and how it looks. Share & present easily. Save time and present in Spark Chart. 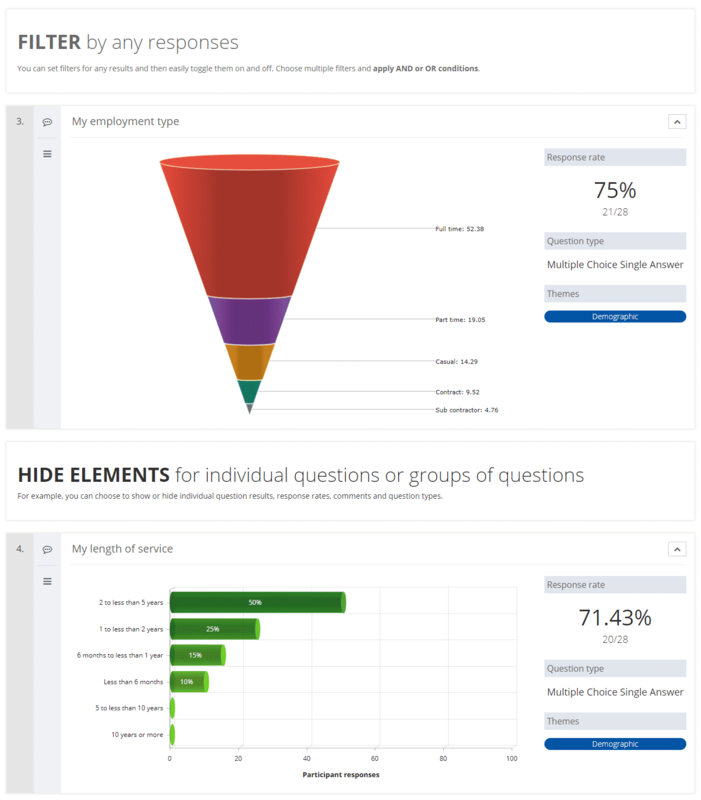 Best of all, Spark Chart makes it fun to analyze and share the survey results. Survey in any language. Accounts come with pre-installed language packages. The Spark Chart survey software interface is in English, however, surveys can be created in any language. 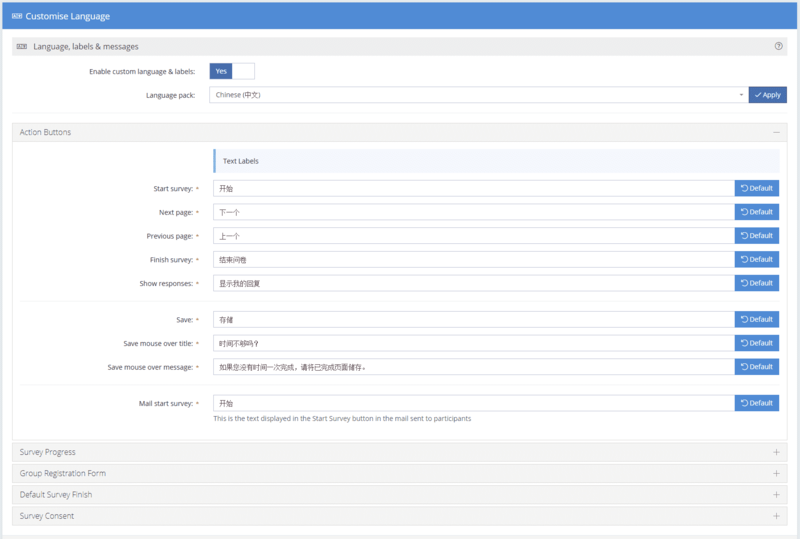 If we don’t have a language, customise the fields yourself for any language. And ask us to create the language package. 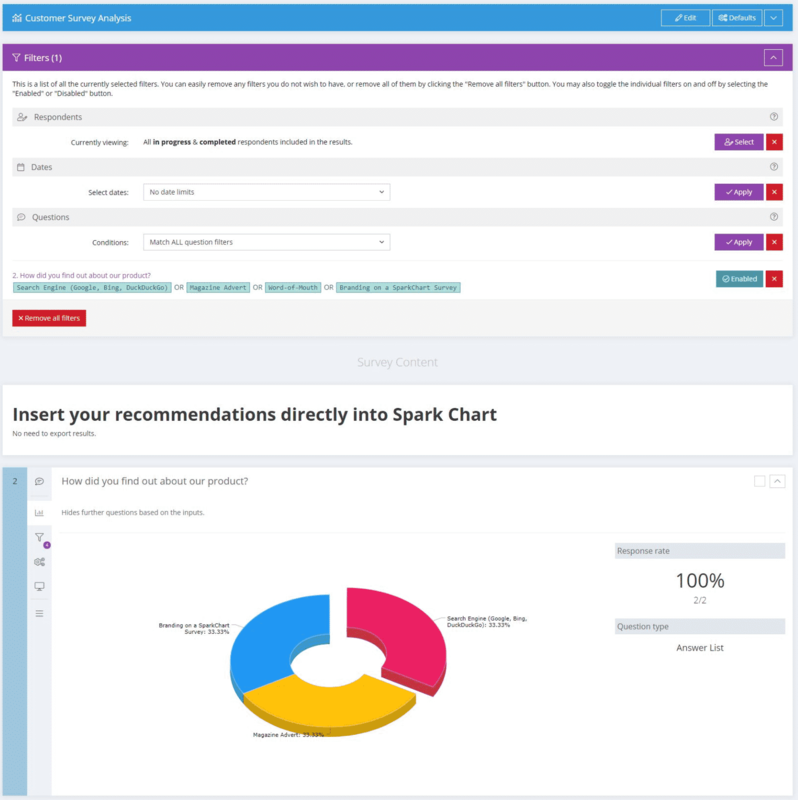 Spark Chart has a Zapier integration which connects Spark Chart with 1,000+ applications. Zapier is a web application that connects applications with each other without the need to write any code. Through the use of Zapier Triggers, Searches and Actions, you can automate workflows between Spark Chart survey software and other applications. These workflows are called Zaps. Spark Chart offers purpose built survey software for larger consultancies, agencies and enterprises. 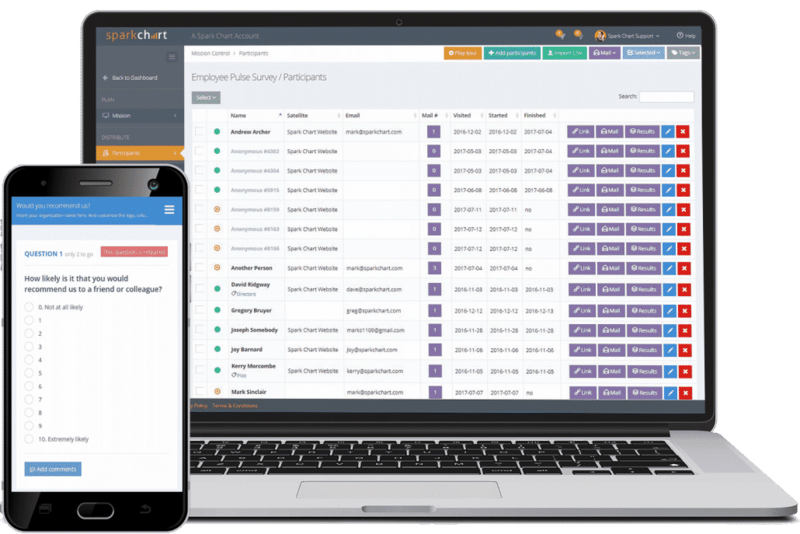 The survey software features include a management console to create and manage Spark Chart accounts for individual clients. Manage users, set defaults and easily copy surveys, email templates and projects to client accounts. Pause, Resume or Stop projects and show messages to respondents to keep them informed. Repeat survey projects in less than 60 seconds. 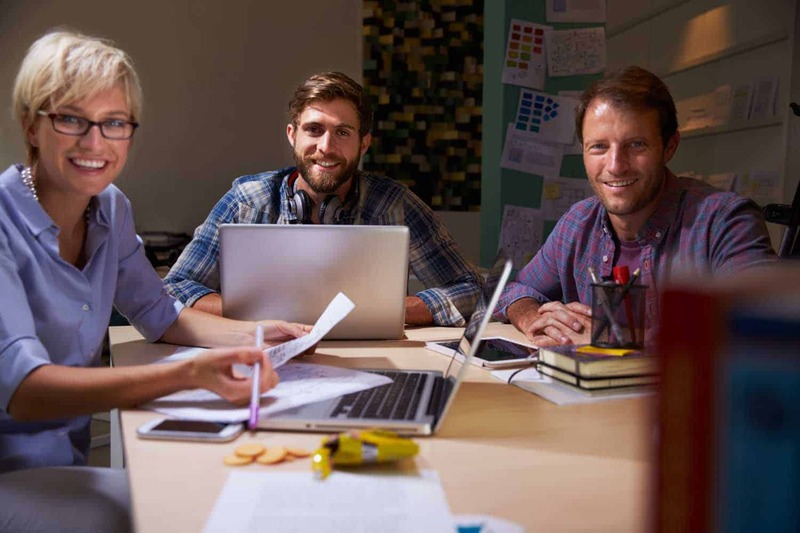 Copy projects, launch them, add participants and deploy with just a few clicks. Create copies of projects, survey templates and email templates with a click. Pin projects to the Dashboard and see a response rate graph along with shortcuts to projects, participants, sparks and shares. Tags for easy storing of projects, participants , survey templates, mail templates, rating scales, results and shares. 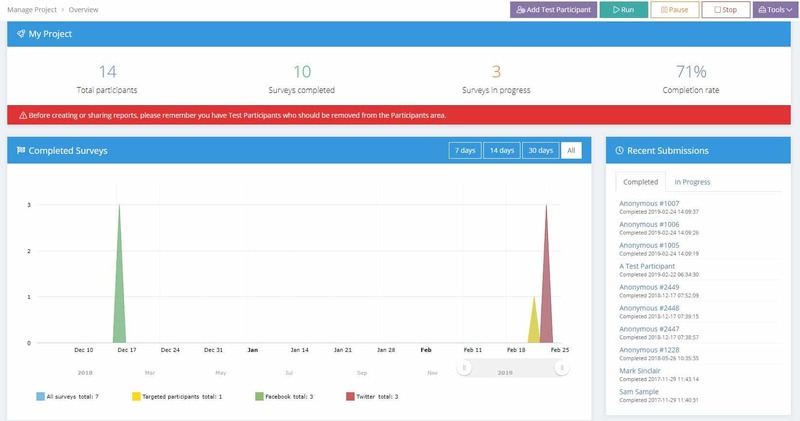 View project progress with milestones, including start date, participants added, surveys completed and participants deleted. Simple account management to add new users, customize account settings, set account defaults or set survey defaults. We are here to help. Ask our experienced survey consultants for support or advice. Learn more from survey resources in our blog. Our goal is to help you become a survey expert and provide responsive support and advice no matter when it is needed. 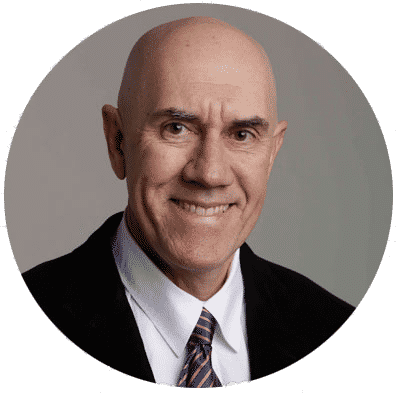 See the Spark Chart profile and reviews at G2Crowd.